Reeage offers a package of 6 complimentary PRP sessions after hair transplantation. 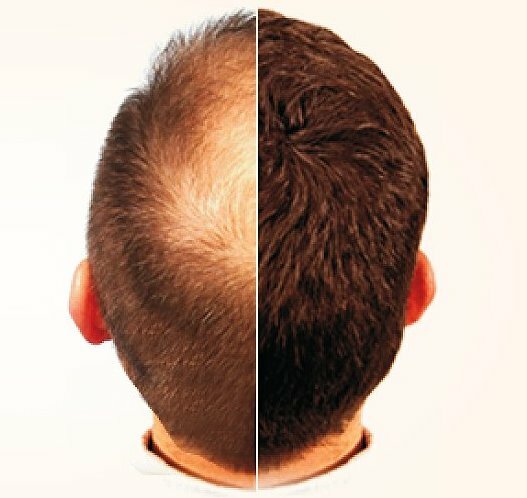 PRP is an adjuvant therapy to both medical treatment and hair transplantation. PRP contains growth factors which aids in healing process and normalizing hair follicle growth. Platelet rich plasma is our own blood plasma enriched with platelets. It contains several different growth factors that stimulate soft tissue healing, hair growth, rejuvenation of skin and modifying acne scars. Hence it is used for hair growth, skin rejuvenation, ulcer treatment, acne scars, wrinkles and stretch marks. Procedure is very simple; 10-20ml of your own blood is drawn from your vein, under sterile conditions in prior labeled bulbs to get PRP in 40 minutes. This growth factor rich substance is delivered at site by fine injection shots or by derma roller tool. To make the procedure pain free it can be done under injection/topical anesthesia. The whole procedure takes one to one and half hours and the patient can resume to your normal activity immediately after the procedure. For hair loss, the procedure is repeated every 3 to 6 weeks and requires minimum 6 sessions. It is safe, as it is the patients own blood prepared under sterile conditions to give pyrogen free PRP and is absolutely safe. PRP contains growth factors which aids in healing process. It is feasible to keep hairs short or zero trimmed prior to the procedure. On the day of the procedure, it is not advisable to wash the scalp and not apply any lotions, gels or sprays. The scalp can be washed regularly the next day. Minimal redness and swelling can be expected, which subsides in less than 24 hours.